I hope you guys are gearing up for a long weekend. To kick off Friday afternoon, enjoy this video of the second F-35B Joint Strike Fighter to take-off and land from the USS Wasp. The video below shows F-35 test jet BF-4, the first B- model to be equipped with mission systems, making landings aboard the amphibious assault ship yesterday. 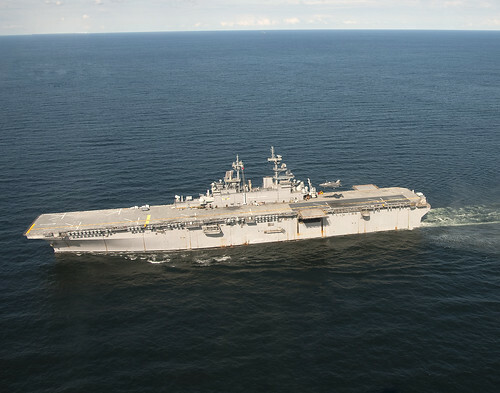 F-35 BF-2 (shown above) made history aboard the Wasp on Monday when it performed the F-35's very first take-offs and landings on a ship. Click through the jump for the video and turn the sound down to get rid of the cheesy music.